A charming throwback to the American Golden Era, Candylab Toy’s Green Camper stimulates the young ones’ imagination and brings a smile on their parents’ faces. The iconic shape is instantly recognizable, but Green Camper truly shines when paired with the Woodie or the Pioneer toy cars. The camper features an elegant curved shape. The solid beech wood comes with white and green water-based paint and a glossy urethane coating. 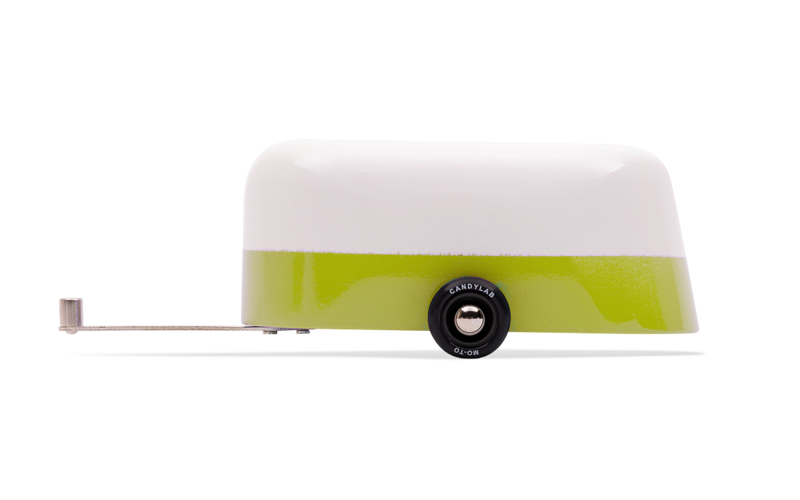 Tires made of food grade rubber and white ABS plastic complete the design, with a magnetic section providing an easy solution to attach Green Camper to other cars from the Candylab Toys collection.